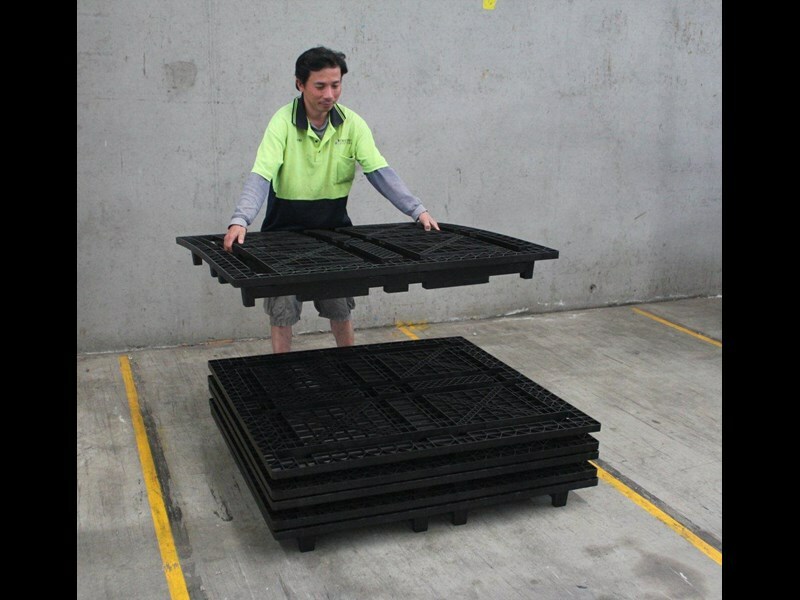 Launched in December last year, the Aussie-designed and manufactured 1‐PAL system is the world’s first stackable, nestable and rackable pallet. 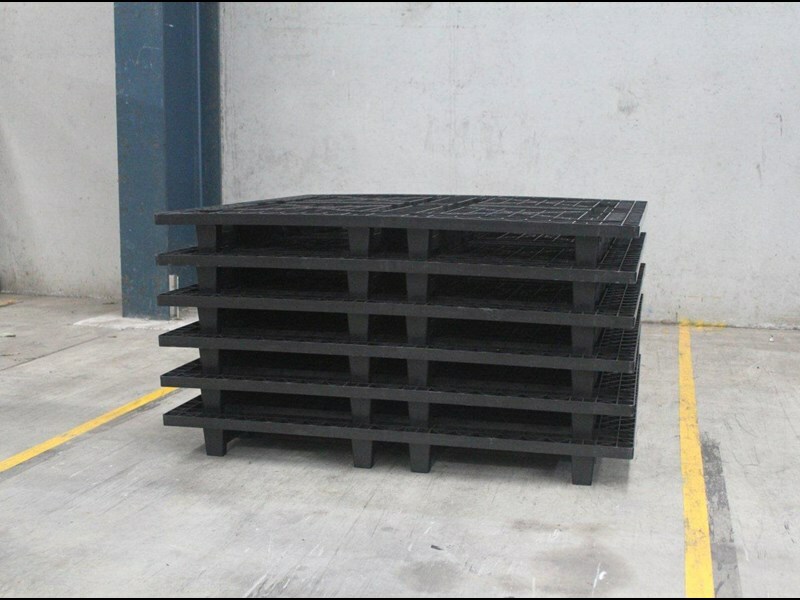 An evolution of the traditional pallet, the plastic 1‐PAL system claims to provide companies with an estimated 65 per cent savings in operational costs along with environmental and safety benefits. 1‐PAL Director Ryan Groom says the new system reduces the amount of warehousing and freight required due to its innovative and space‐saving design. 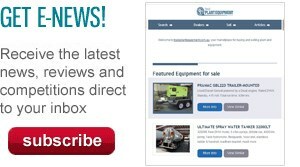 "We've also received feedback from industry that the ability of pallets to withstand large‐loads in high‐temperatures is becoming an increasing concern, especially for companies storing large amounts of inventory with varying climates." The 1‐PAL pallet features carefully designed slots in its top surface, allowing the solid legs of the nesting pallet to nest inside when it's rotated 90 degrees. This gives the 1‐PAL pallet a 3:1 height ratio when nested compared to standard pallets. 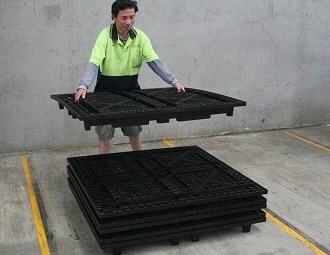 The 1‐PAL pallet can also be stacked similar to traditional pallets, permitting easy forklift access. The solid leg design gives it the ability to safely rack 1,000 kilograms in temperatures as high a 60 degrees Celsius and as low as minus 30 degrees Celsius. Notches in 1‐PAL's high‐strength four legs allow it to safely locate in standard beam‐racking. "The logistics industry is tied to the use of pallets and we've seen very little innovation in pallets in the past century," Groom adds. "We estimate the warehousing and freight benefits of the 1‐PAL system will enable businesses to save up to 65 percent in operational costs." 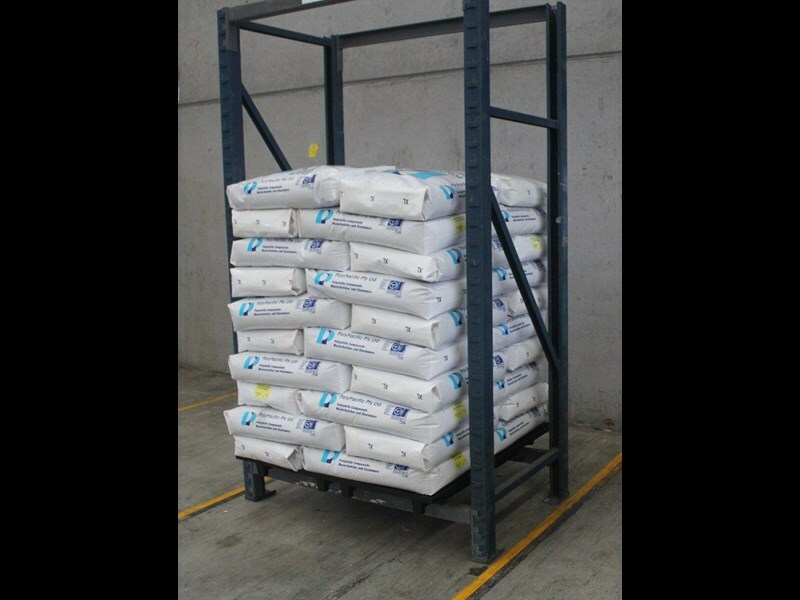 The 1‐PAL pallet is made from a newly developed long‐grain glass fibre polymer that gives the pallet a superior strength to weight ratio, high‐impact strength designed to absorb reoccurring forklift tyne collision and the ability to maintain its integrity under extreme environmental conditions. The 1‐PAL pallet weighs less than 13 kilograms, about one third the weight of a traditional hardwood pallet. 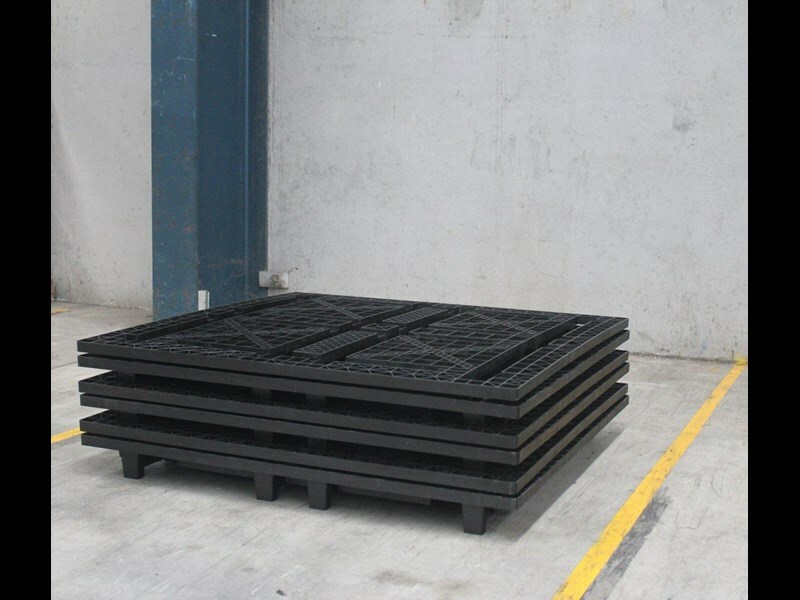 This is a weight saving of 3,200 kilograms per 100 pallets transported when compared with hardwood pallets. It is also occupational, health and safety approved to be lifted by a single person. 1‐PAL can also be fully‐recycled at the end of its life, cleaned at high‐temperatures and has drainage holes that prevent water collection, making it an ideal solution for food and beverage industries. 1‐PAL offers increased brand awareness and pallet tracking with customised colours, logo printing, bar coding and RFID (Radio‐Frequency Identification) chip options. 1‐PAL recently won the Supply Chain and Logistics Association of Australia's (Victoria Division) Environmental Award, and was a runner‐up for BASF Australia Ltd Plastics' Award for Design and Innovation. 1‐PAL Pty Ltd is a newly established company that is partly owned by Columbia Australia, reputable injection moulders and toolmakers with over 55 years' experience. The 1‐PAL pallet was designed and engineered over the past four years in coordination with polymer manufacturers and logistics companies world‐wide. The 1‐PAL pallet is designed and manufactured in Cheltenham, Victoria.